What is this Party about ? Green Soup Party at La Orilla on Saturday, June 5th.Meet can didates & sign pettitions. 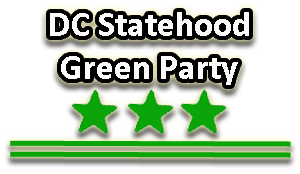 DCSGP meets January 6th to elect two Delegates to the national party and five At-Large Steering Committee members. We will talk about how to build the party throughout 2011.